Afshin Ghotbi has had a well-traveled football career. Can he lead J-League team Shimizu S-Pulse to glory? As an Iranian-American who has lived and worked all over the world, Afshin Ghotbi’s life is never boring. But 2012 could be his most exciting year yet. Ghotbi, who left Tehran in 1977 at the age of 13 for southern California, is the head coach of Japanese football club Shimizu S-Pulse, and about a third of the way through the 2012 season, the team is putting together a challenge for the title. The 48 year-old is into his second season in what is widely regarded as Asia’s top league, and it will rank as his greatest achievement to date if he can actually take the club to the title. After stints on the coaching staff with South Korea at the 2002 World Cup (a magical summer when the team reached the semi-finals) and then the 2006 World Cup and the 2007 Asian Cup, Ghotbi was finally invited back to his original home. In August 2007, he landed in Tehran for the first time in three decades to take over local club Persepolis. After a crazy season in which he became hugely popular with fans and a little less popular with some other figures in Iranian football, Ghotbi led the club to the title with a goal in the last minute of the final game. Young, professional, media-savvy and sharply dressed, he cut a clear contrast with the traditional Iranian coach. Not all welcomed the man who had left the country as a boy to live in the United States. It was a tumultuous year on and off the field. 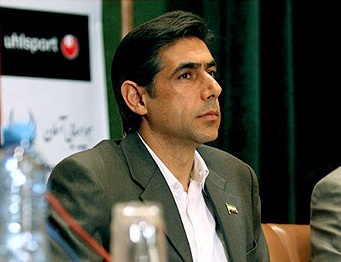 Not long after the title success, Ghotbi became the national team coach of Iran, one of Asia’s top soccer nations. He took over near the end of qualification for the 2010 World Cup, but was unable to stop the team missing out. He then took Team Melli to the quarter-final of the 2011 Asian Cup, only to lose to an extra-time goal against South Korea. Now he’s building a young team to challenge in Japan. At one time, Shimizu, based in Shizuoka on the Pacific Coast between Tokyo and Nagoya, was a hotbed of Japanese talent, and the country’s production line for footballers. Not any more – the big clubs such as Nagoya Grampus, Gemba Osaka, Kashima Antlers and Urawa Reds have been lifting titles in recent years with the relatively poor Shimizu languishing outside the top spots. Things are changing now, though. Some of the big boys are going through transitional stages leaving the door at the top open. Shimizu is in second, but just two points behind the leaders Vegalta Sendai. Sendai was unbeaten this season until Sunday, when Shimizu visited to take all three points. It was a statement of intent. A title for Shimizu would be the club’s first. There’s a long way to go, but it promises to be quite a ride – and the latest in a series of adventures for Afshin Ghotbi. Jong Tae Se is set to sign for South Korea’s club, the Suwon Bluewings.